The definition of Heirloom is variety of plant that has originated under cultivation and that has survived for several generations usually due to the efforts of private individuals. In other words man made. Heirlooms I usually classify as like island strains like Aruba and Jamaica. Their roots are probably a mix of landrace varietals from South America and Africa... but they have climatized to the islands and over time begun to become a heirloom varietal of their own. Always down to learn more, so correct me if I’m wrong. And also, not all land races are the same... a landrace varietal from the mountains of Afghanistan will be very different from a population found wild in the valleys. I suppose that can be true but isn't it just native/wild then? isn't it just native/wild then? 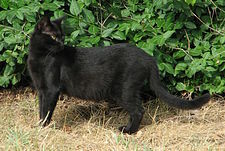 The "first" landraces in Asia were native/wild... I think. I would say that human is required in landrace and heirloom but landrace must also survive natural selection, just my opinion. Were the first landraces wild or naturalised? I like this definition, I think it suits both our preferences? The last part suggests that It can but doesn't need to be agricultural. 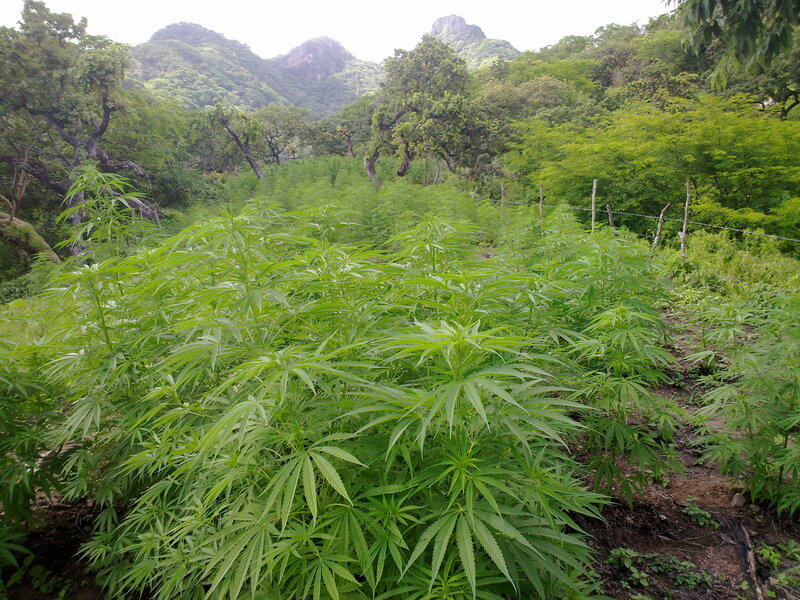 Funny thing about landraces is that no commercial grower wants them. LETS GO BACK IN TIME. No internet, no Spanish books on growing. People always imagine the hippy, or Jorge Cervantes up in the mountains attending the grow . Imagine you need to find someone to take care of your field. Who do you get? Remember, You have to pay them, so, do you look for the smartest most expensive cartaker you can??? ( also remember this person has to drop everything and go live in the field for 3 months) Nope, you look for the cheapest person you can find because you have a selling price of $20USD PER POUND. Ok, so we found a drunk that has nothing to do and has agreed to go stay in the field. Question. Do you think that guy knows or cares about selective breeding? Do you think he has mad growing skills?? The outdoor commercial growers fertilizer of choice, triple 20!!! Whoooo Hooooo!!! Tropical growing is different than growing in the north thus each respective harvest during the year will result in a different appearance in the plants even when using clones or the same seed stock. I was in a 5 acre field once looking for plants to dig up, bring inside to reveg, and The growers didn't even know what hermaphrodites were. I am talking full blown half male half female plants. There are some exceptions to this. I have found some growers that do know a lot about growing from trial and error. But these are generally smaller growers that represent less than one percent of one percent of national growers. Dorada de Sinaloa by Sergio in Mexican mountains. or Jorge Cervantes up in the mountains attending the grow . Shith, not in my grow... My dogs will eat him alive. I would pay good money to see that. old world organics has a few neat strains, acclimated to 45* north. they also have a pure unworked landrace section which is empty atm. 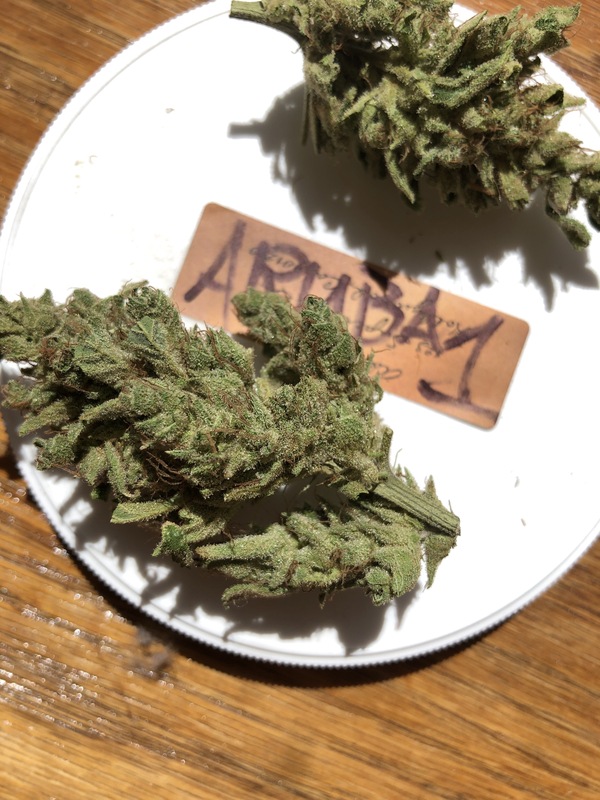 Interesting did not know Aruba had any landrace strains . Been there love it . Here’s the description from Bodhi and as usual... it’s pretty spot on! Bodhi Seeds Aruba are marijuana seeds that grow like an indica, originally from Aruba the small island off the coast of Venezula. These Cannabis seeds produce beautiful, compact, resinous buds that smell of tropical fruits and flowers with unique tones of bananna and warm spices. Similar to a very high quality jamaican, stoning sativa high with super irie effects, and a fast triggering and flowering cycle in outdoor environments. Great breeder to take down the stretch and flower time of other long flowering sativas. this is a very special line for landrace lovers. 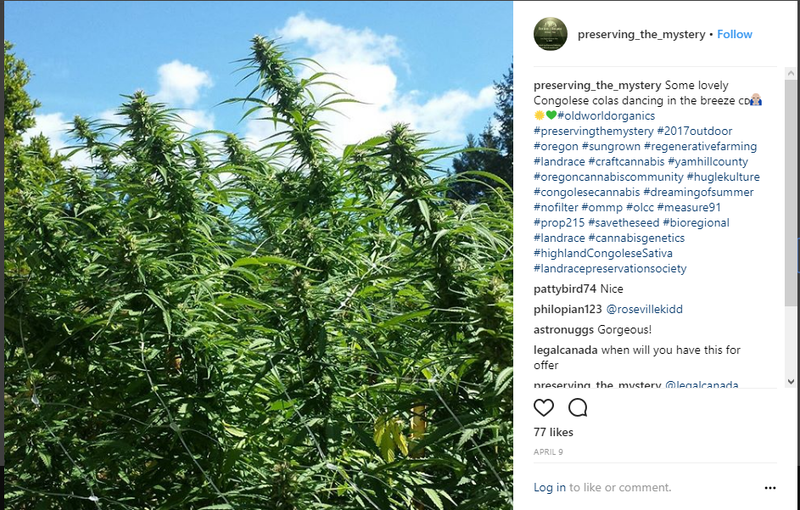 apparently oldworldorganics.net is their new website and they'll be adding full stock over this week, maybe that's why their pure landrace section was empty. they have 3 acclimatized landraces and 3 landrace hybrids listed atm. Wow I highly doubt that it is from There originally like landrace . However the description sounds like someone got some seeds from The Jamaican herb that frequents there and planted some. And over the years some selections done . The climate there is not ideal for wild growths of canna . Plenty of sun arrid conditions at times.